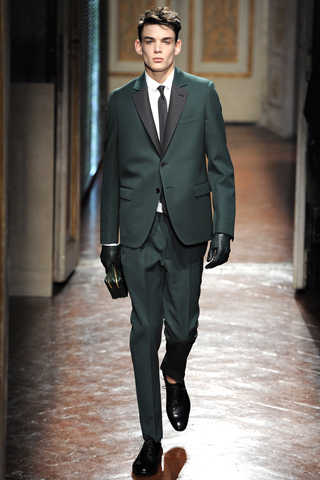 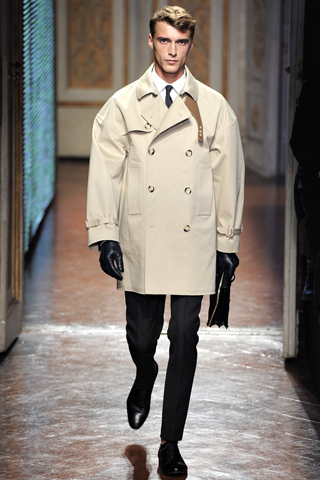 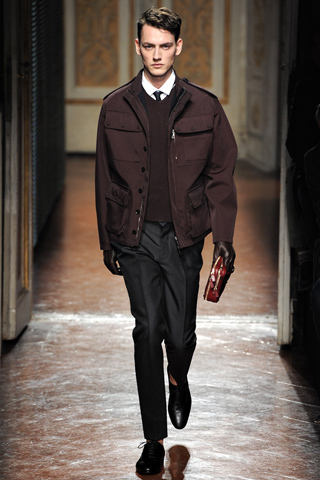 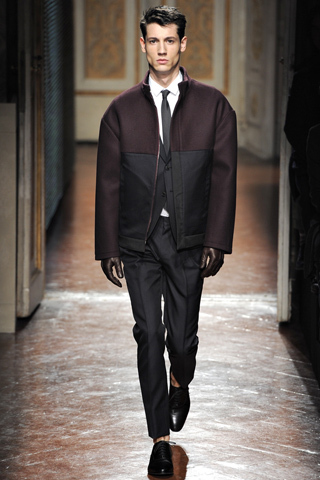 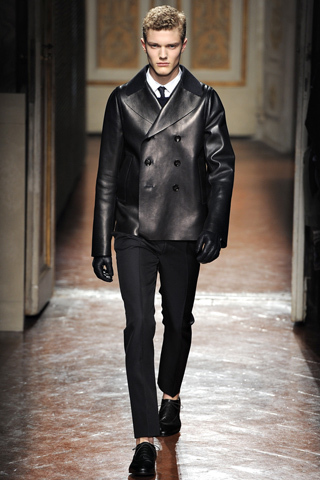 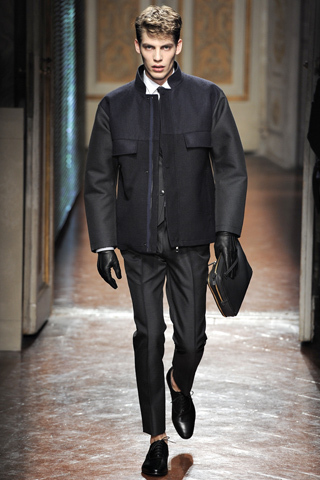 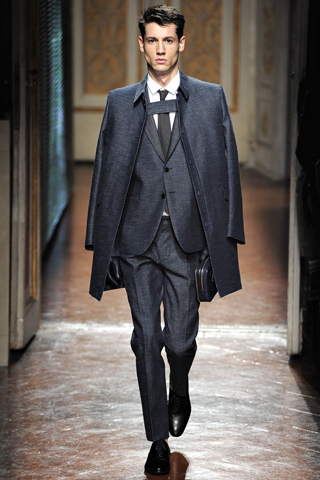 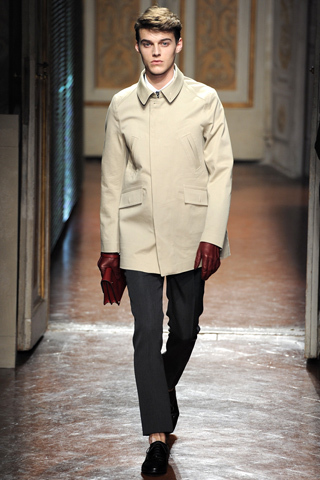 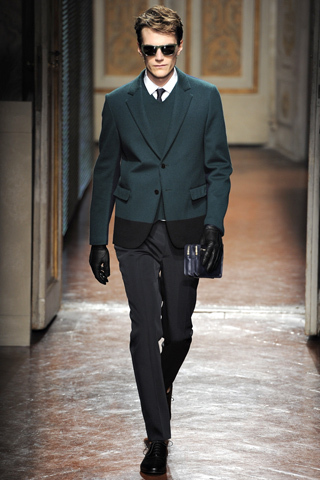 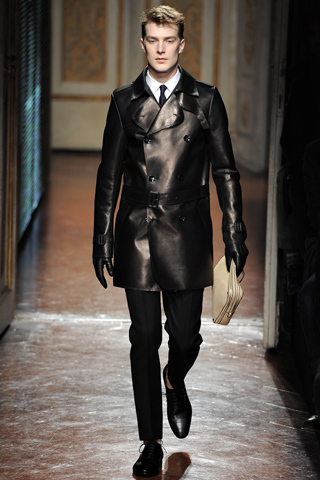 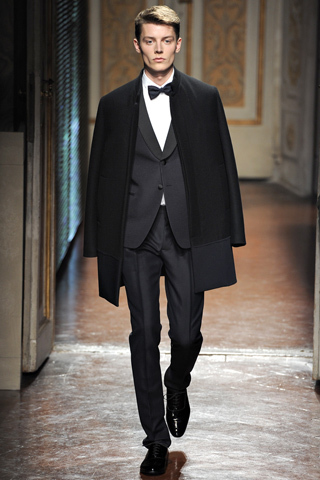 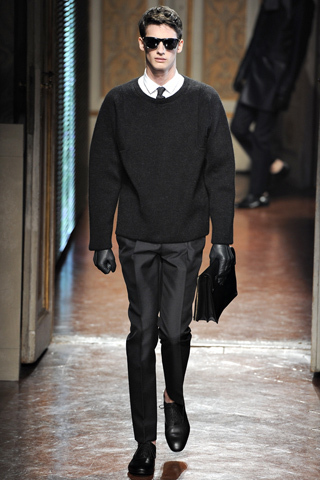 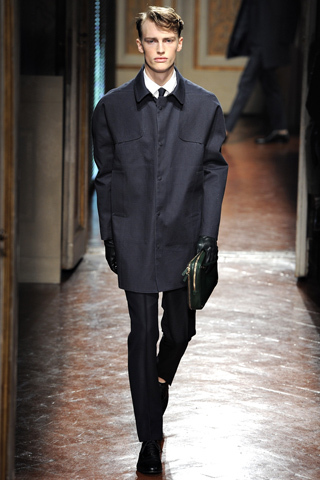 Valentino’s show to display the label’s menswear collection for Autumn/Winter 2012 at the 81st edition of Pitti Uomo in Florence raised a very high bar for the numerous menswear fashion shows that are to take place over the next couple of weeks in Milan and Paris. 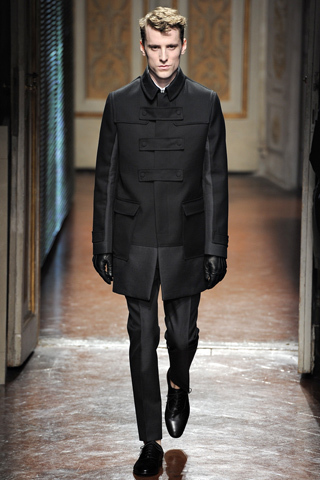 As special guests of the prestigious fashion fair, Valentino’s menswear designers Pier Paolo Piccioli and Maria Grazia Chiuri got the fair off to a good start in a year that celebrates the 50th anniversary of Valentino’s first fashion show, also in Florence. 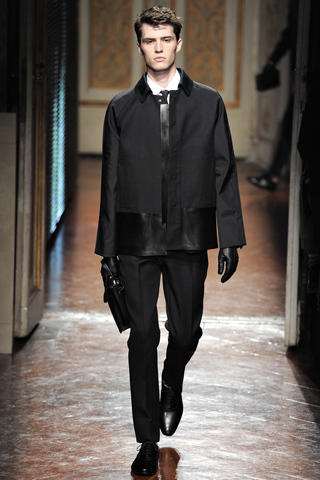 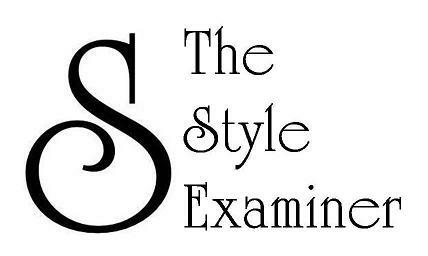 This was an elegant collection inspired by 1960s tailoring, with white shirts, skinny black ties, narrow cropped trousers, and tight-fitting jackets predominant under above-the-knee or cropped baggy overcoats with dropped shoulders that provided a cape-like effect. 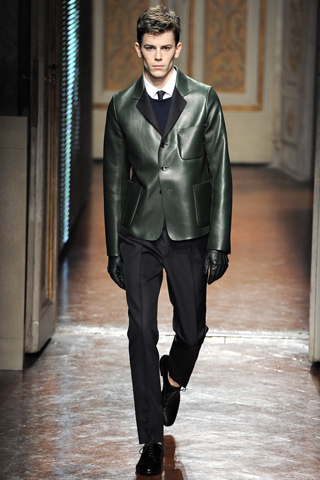 The materials were luxurious, with leather, cashmere, shearling and wool often juxtaposed in panelling or trimmings of garments that resorted to a stylish palette that included black and dark greens and reds.